Do you use Office 365 for your business? 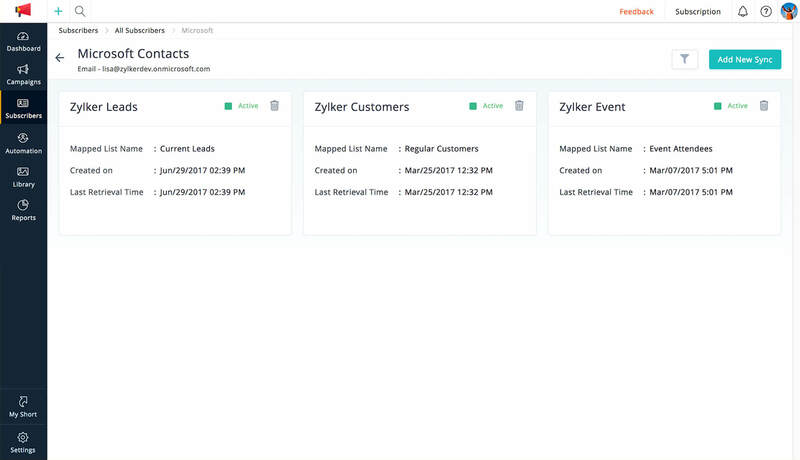 Now you can access Zoho Campaigns using your Office 365 ID and import contacts, add events to Microsoft calendar, and much more, without having to toggle between apps. Consider every contact of yours as a lead that can be nurtured. Import them into any mailing list inside Zoho Campaigns and send out targeted emails. 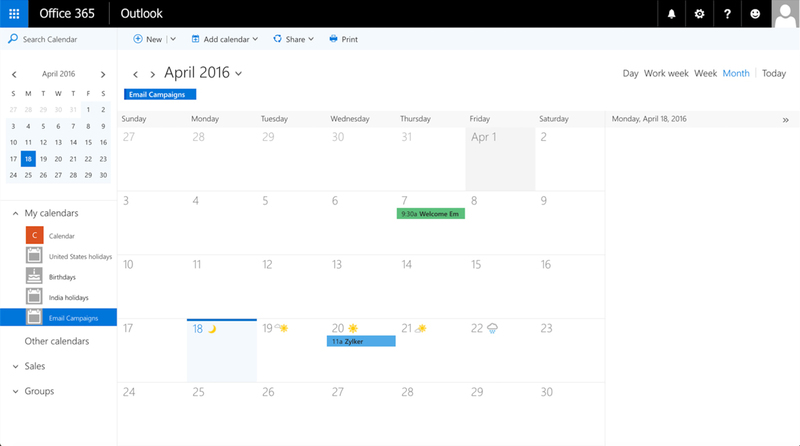 An event is created inside your MS calendar every time a campaign is scheduled or sent. This will help you keep track of how many campaigns you send over a week or a month and plan your future campaigns.